for a top-tier business school. If it is who you know that counts, you just upped your ante. 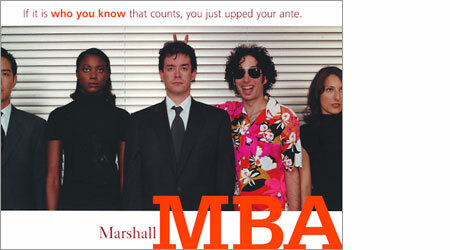 Welcome to the Marshall MBA Program. Where you’ll network with a Who’s Who faculty & stellar group of students. Start your networking early in our exclusive chat room for admitted students. We look forward to seeing you at orientation. You’re sure to find it a transforming experience.